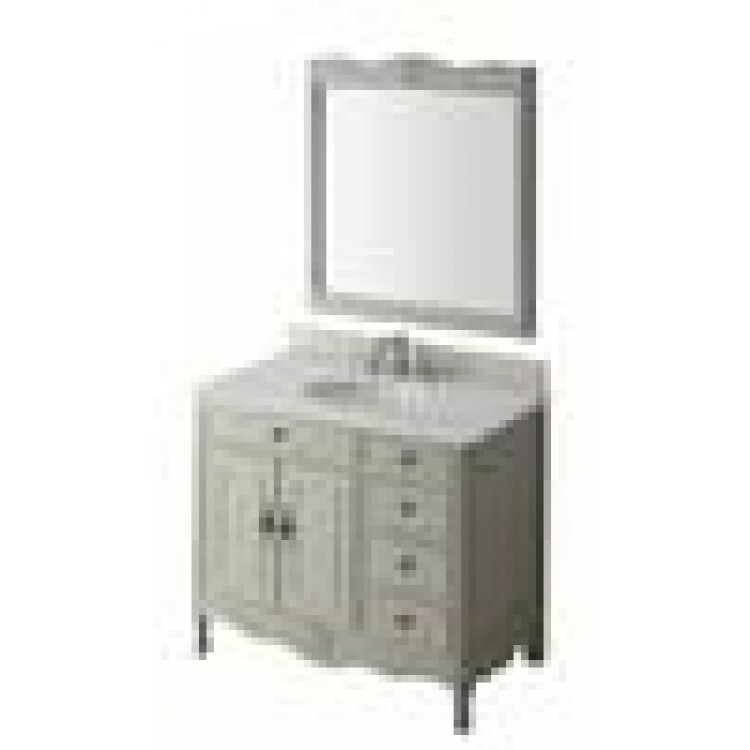 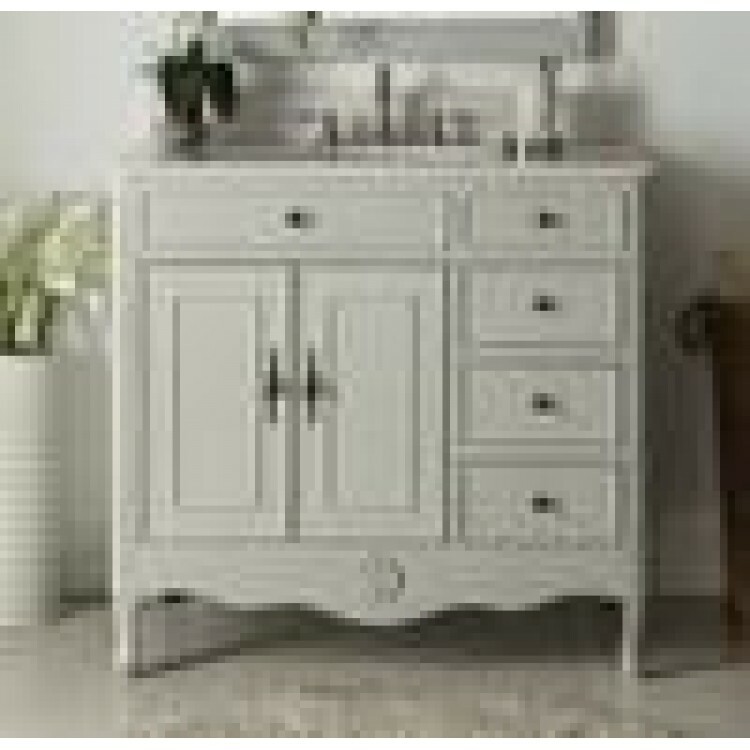 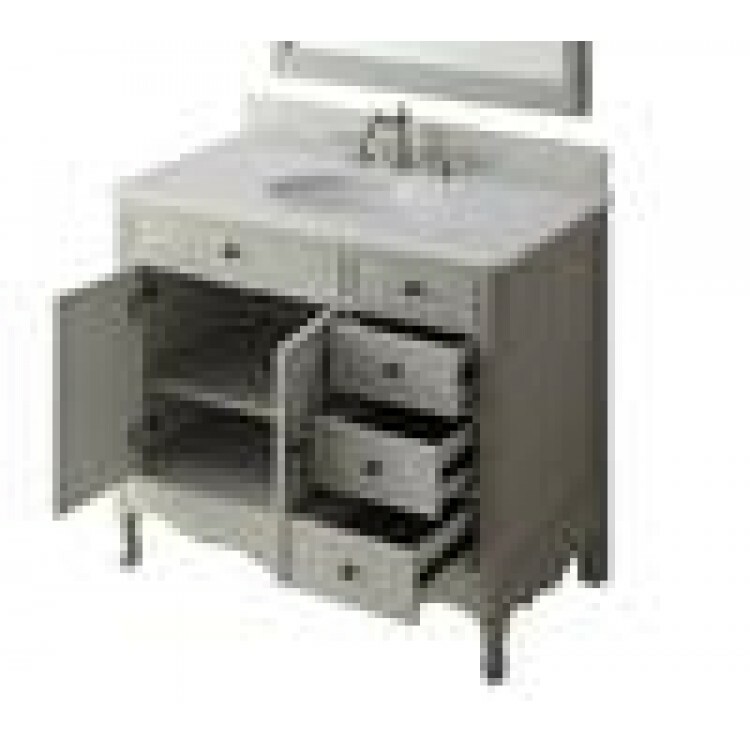 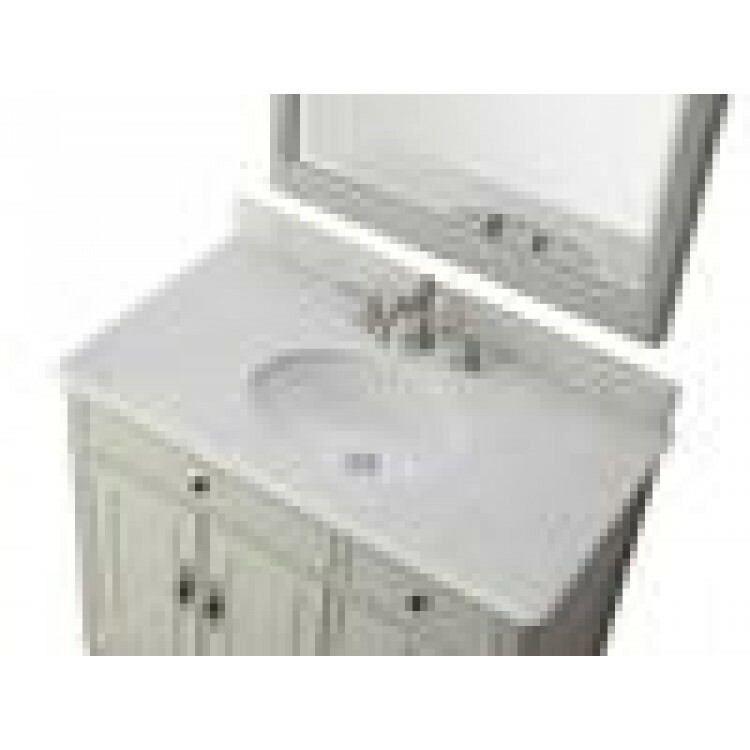 Home » Cottage Style » 30" to 39" » Daleville Distressed Gray 38"
The vintage-style Daleville with intricately carved details give this vanity a distinctive touch. 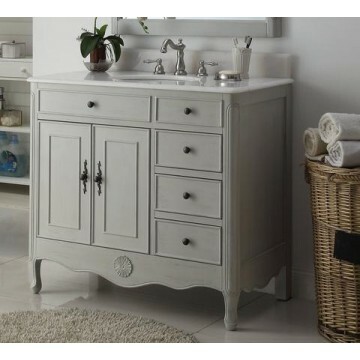 Adding an antique finish also enhance the look. 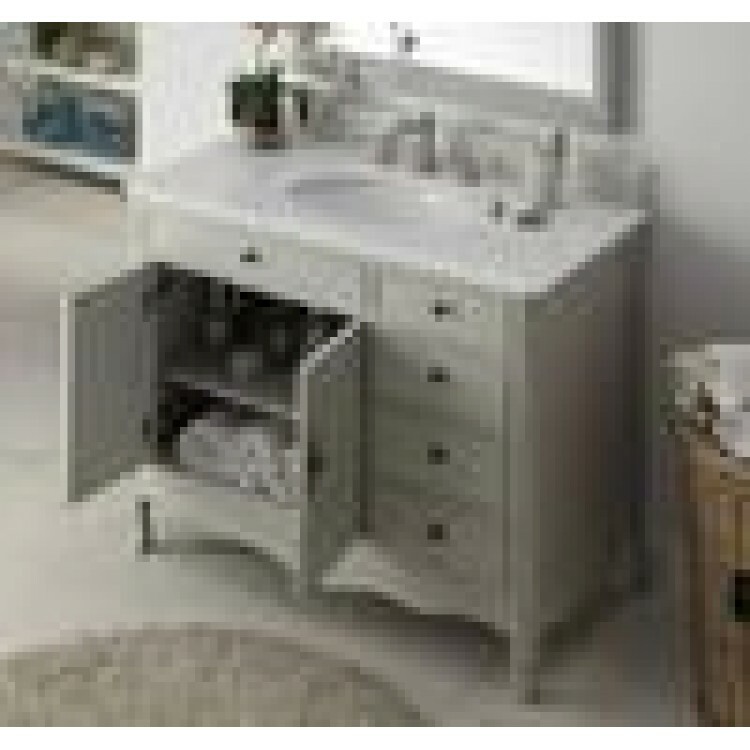 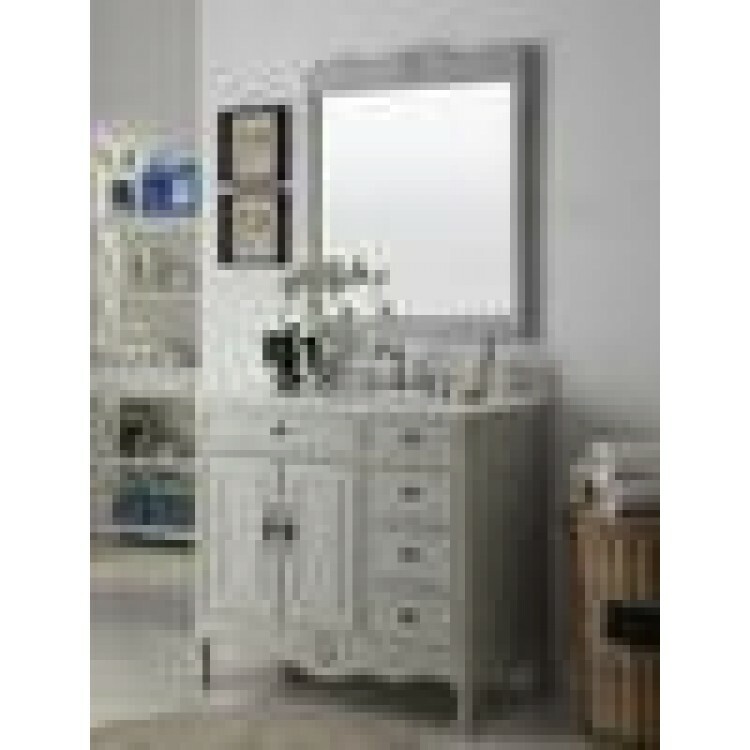 This graceful design with elegant bathroom vanity offers a look that will creat a relaxing retreat in any home. 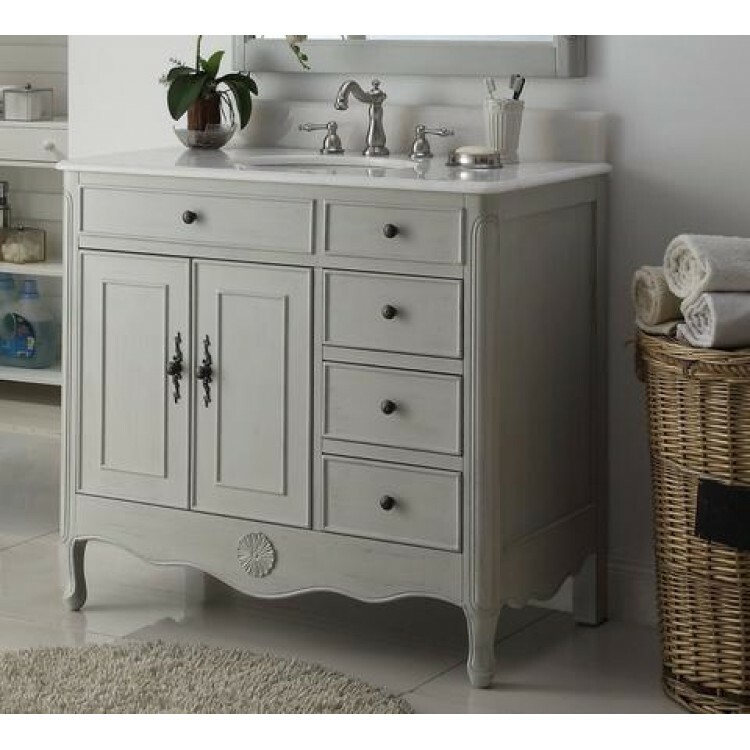 Four functional side drawers provide ample space for essential storage.